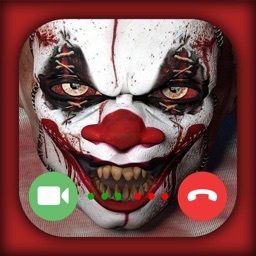 Video Call from Killer Clown by Dualverse, Inc. 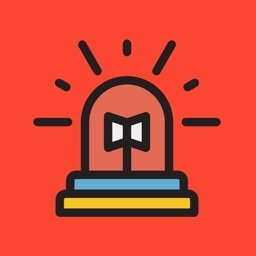 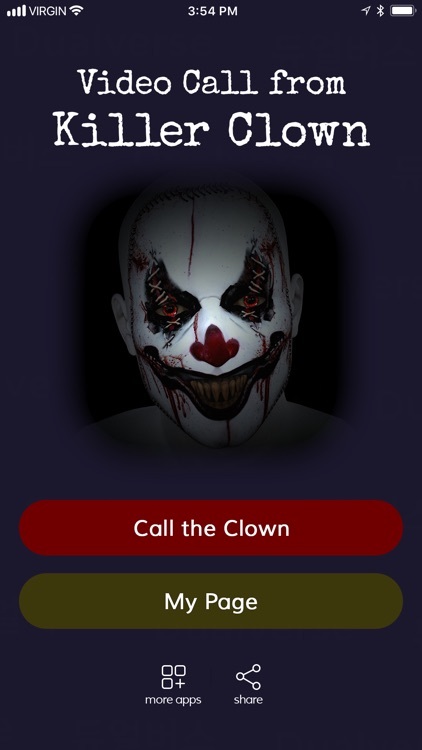 Warning: This app contains graphic images and sounds of a scary clown. 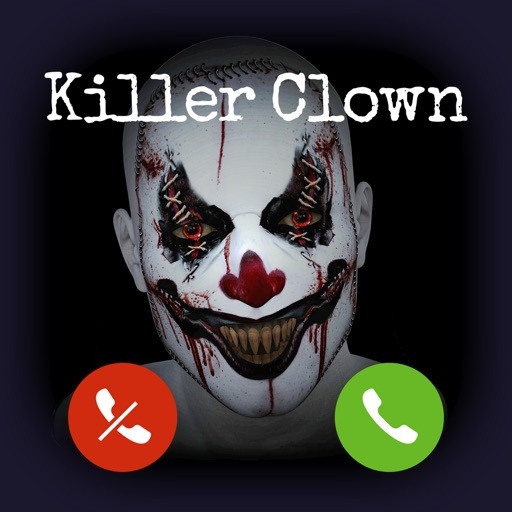 Get into the Halloween Spirit with Video Call from Killer Clown! 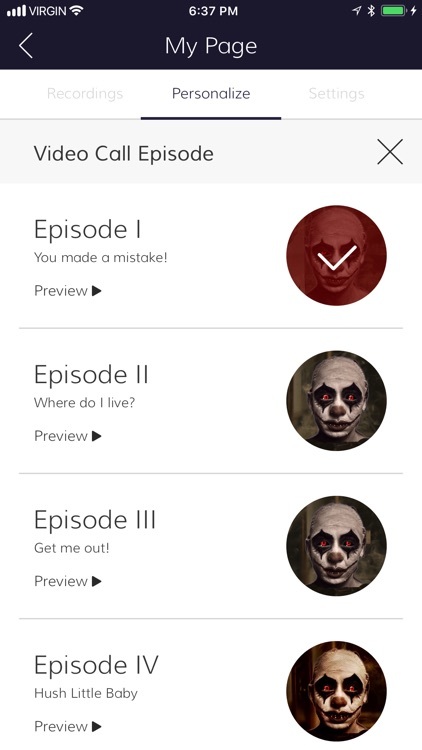 For this Halloween, download the spookiest app that will send chills down your spine. 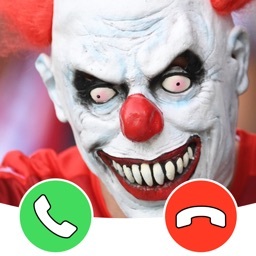 Video Call from Killer Clown features pre-recorded video calls from a very creepy killer clown, performed by our professional voice actor. 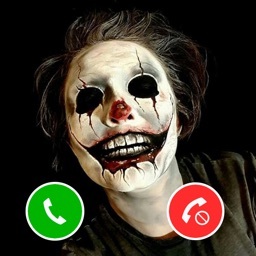 Whether trying to have a little scary fun for yourself or trying to surprise your friends, you will find Video Call from Killer Clown the perfect app to grab for this Halloween! 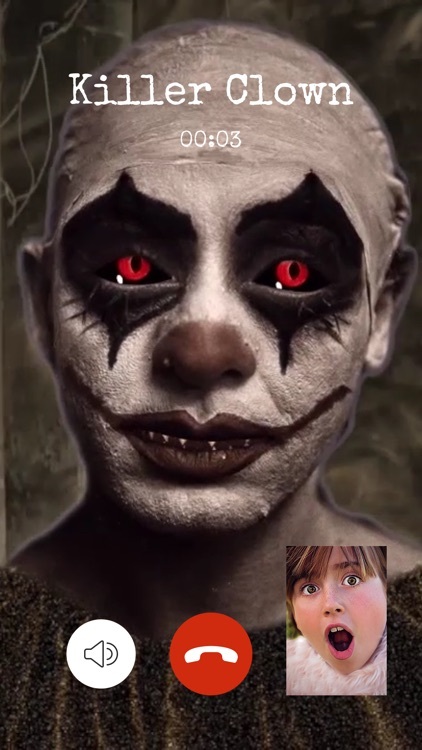 The best part is that your video conversations with the clown are video-recorded for you to view, to keep in your Photos app, or to share via iMessage and major social sites. 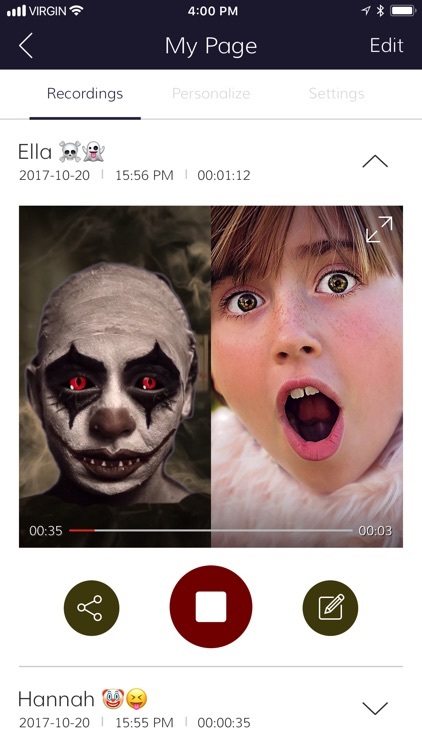 Show the world your scared reactions and laugh with the world! Video Call from Killer Clown is free to download and use. 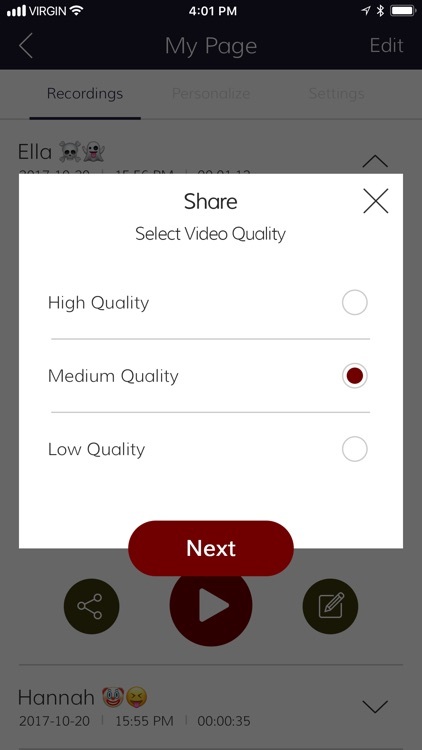 Some In-App items can be purchased for real money to unlock extra features. 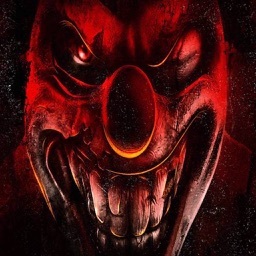 You can disable In-App purchases in your device settings.